Fluke is voluntarily recalling certain 113, 114, 115, 116 and 117 Digital Multimeters that were manufactured between 12/28/2013 and 1/16/2014. The models and serial numbers potentially affected are listed in the table below; not all products within the ranges below are affected. 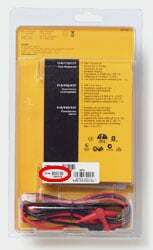 To determine if your multimeter is affected by this recall notice, enter your model and serial number in the box below and click "Check." 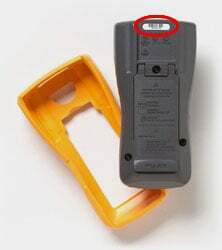 The image below shows where to find the model and serial number of the affected meters.